I did this cake for J's pre-school graduation. 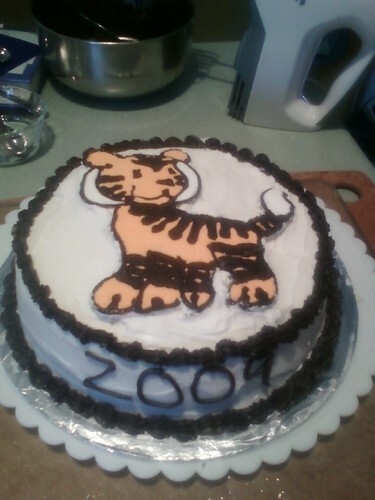 The tiger is the pre-school's mascot/logo. This was essentially a trial run for his birthday cake, which will have Transfomers. I used the Frozen Buttercream Transfer technique. It came out OK. Glad I did a trial run before his birthday cake...practice makes perfect!